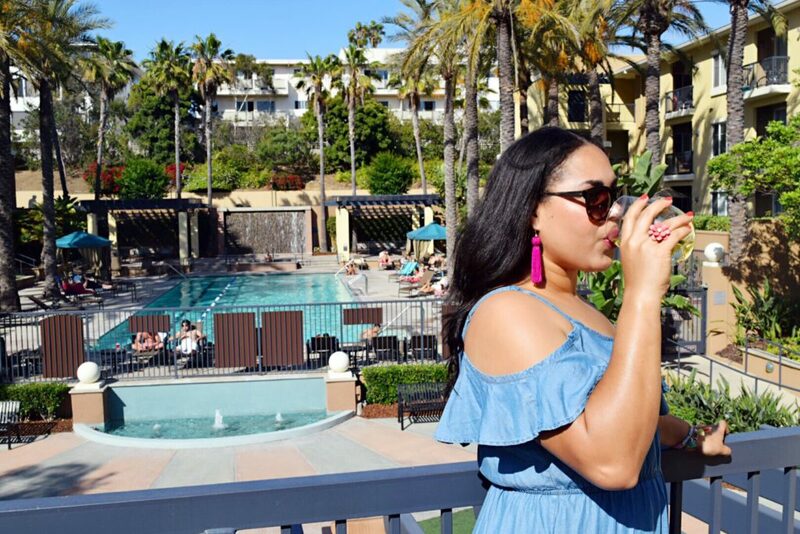 Summer and wine go hand in hand. 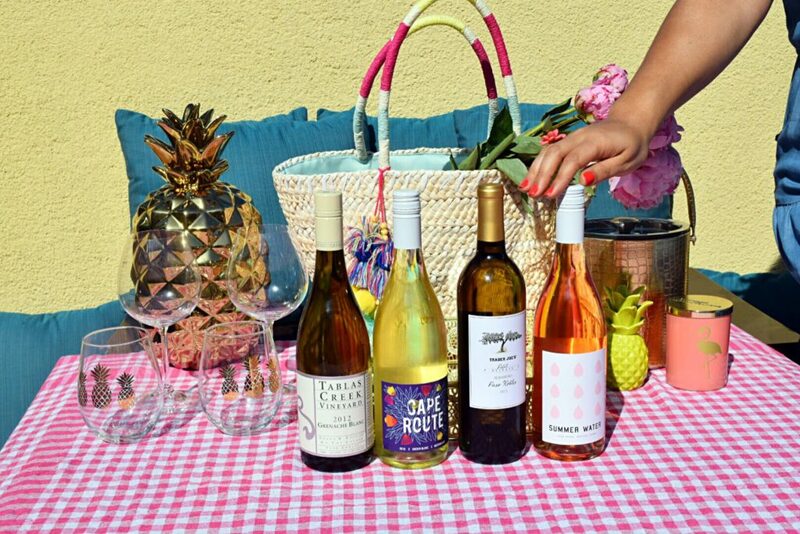 What’s better than a chilled white or blush wine to give you life on a hot summer day? 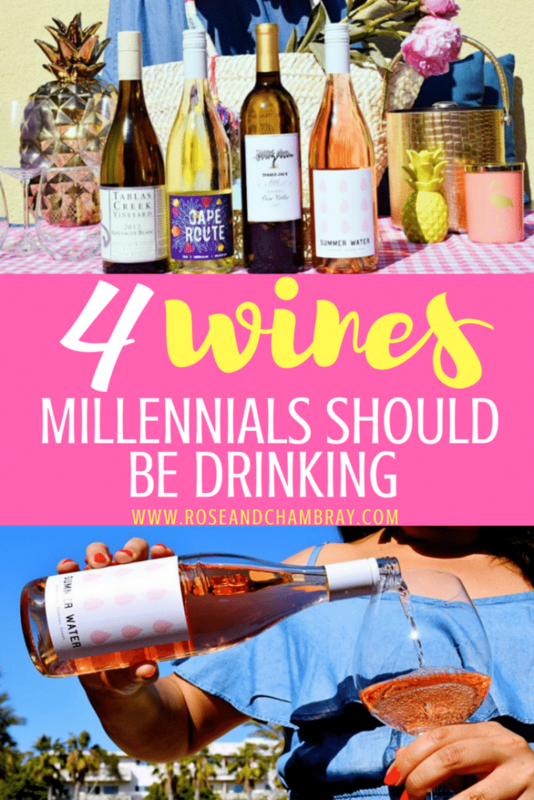 If you told me a few years ago that white and rosé wines would be my favorite wines to drink today, I would’ve told you that you were crazy. I drank Cabernet Sauvignon, Malbec and Zinfandel almost exclusively. Chardonnay and champagne were acceptable, but I really never understood the appeal of white wines until recently. 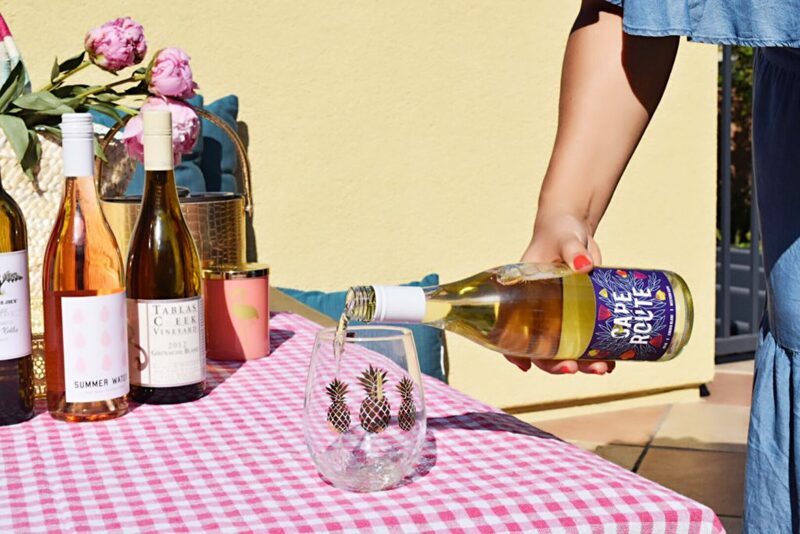 Bring one of these four wines to your next summer gathering, and you’ll be the star of the party! This grape is originally found in the cool-climate region in the Loire Valley (France), and is one of my favorite grape varietals. If you’re a Sauvignon Blanc or Pinot Grigio drinker, try this instead! 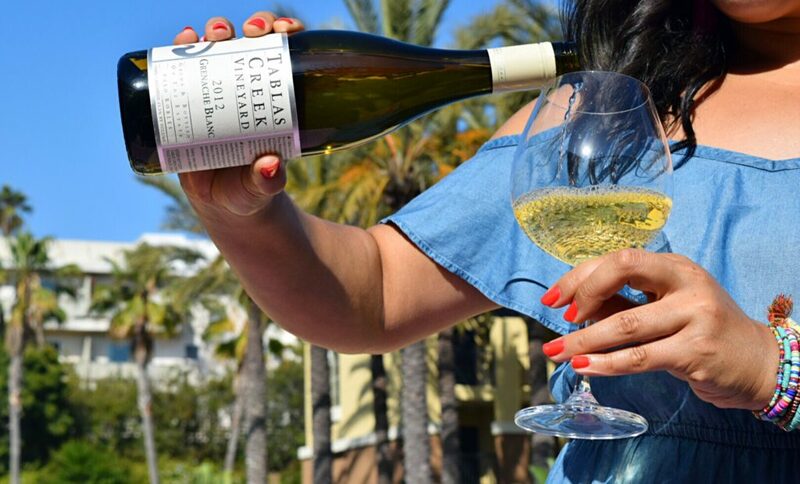 Chenin Blanc wines are extremely easy to drink, and are light-to-medium-bodied yellow-colored wines with medium to dry sweetness and high acidity. You will find notes of citrus fruit, tropical fruit (like pineapple), green apple and the occasional grassy note. Today, it is widely produced in South Africa, which is where this 2016 Cape Route Chenin Blanc is from. 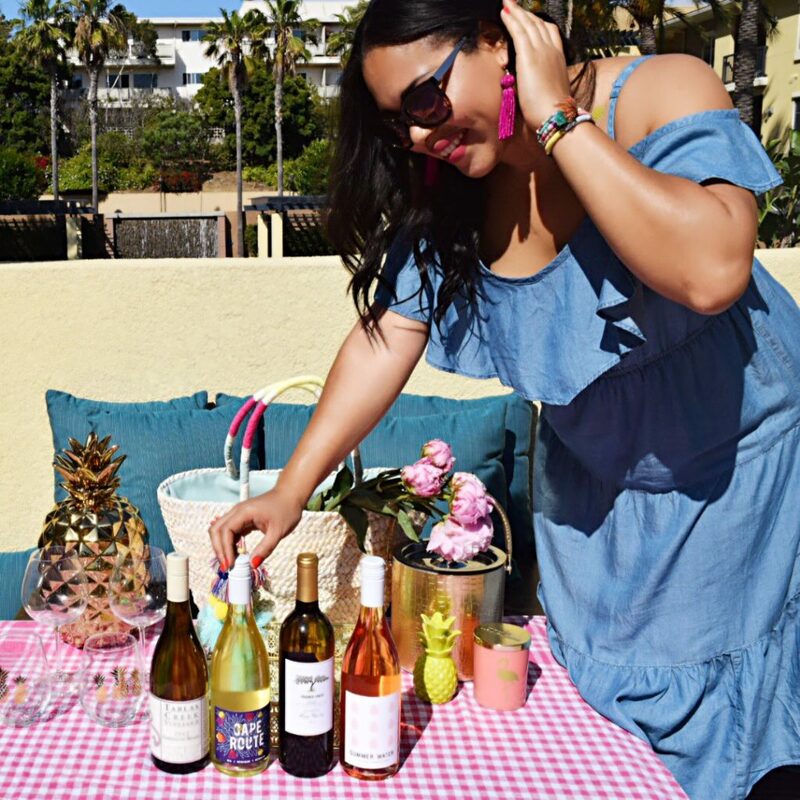 YOU MAY ALSO LIKE: The $5 Wines You Need to Try! If you eat seafood, this is the wine to drink it with! Albariño is originally from the Rías Baixas region of Spain. This region is very close to the ocean which gives the wines a salty characteristic (so cool!). 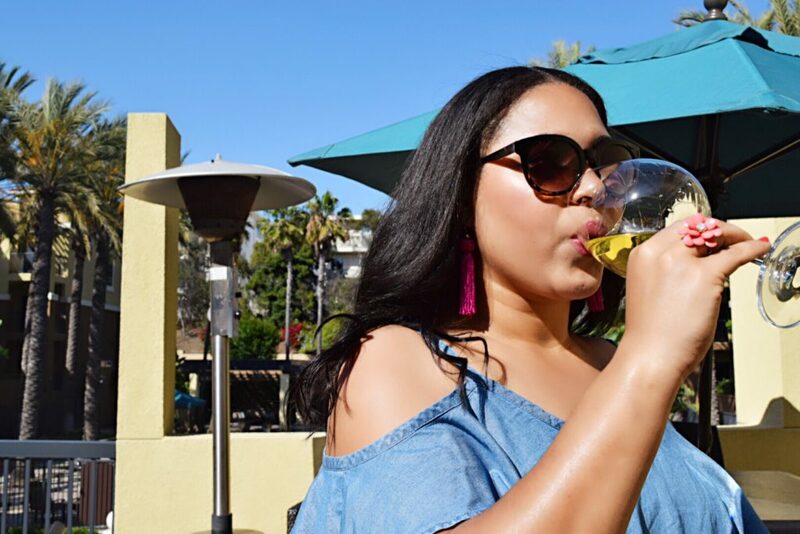 This wine is also an easy drink with light to medium body, high acidity and notes of citrus fruits, green fruits (like apples and pears), flowers, and minerals (salt, stone). This is a great alternative to Chardonnay, Pinot Grigio or Sauvignon Blanc. Here I’m drinking an Albariño from Paso Robles (CA). 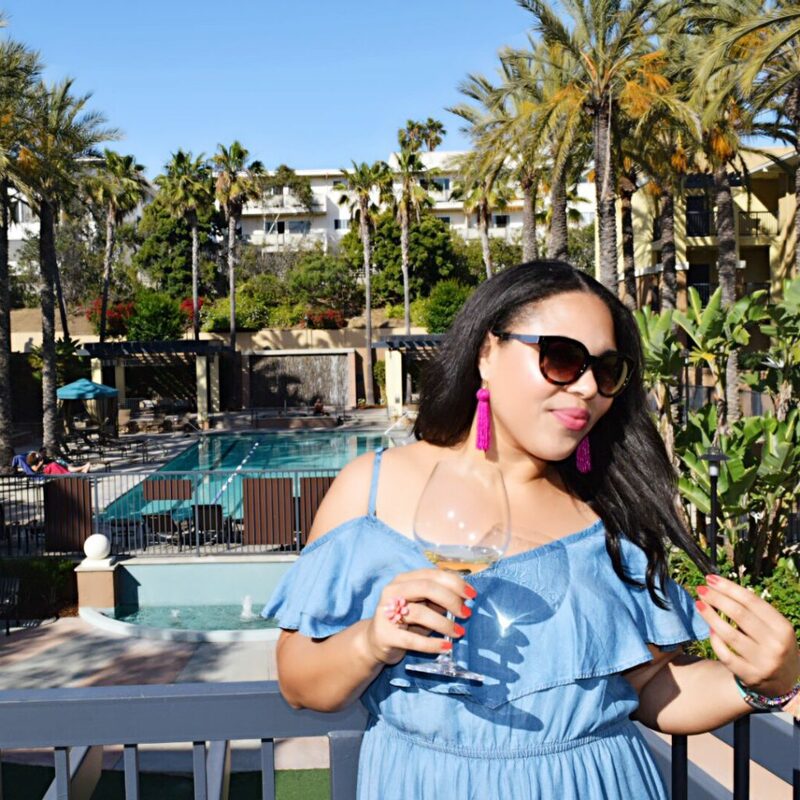 Remember our friend Grenache aka queen of rosé wines? Grenache Blanc is the white form of this wonderful grape. 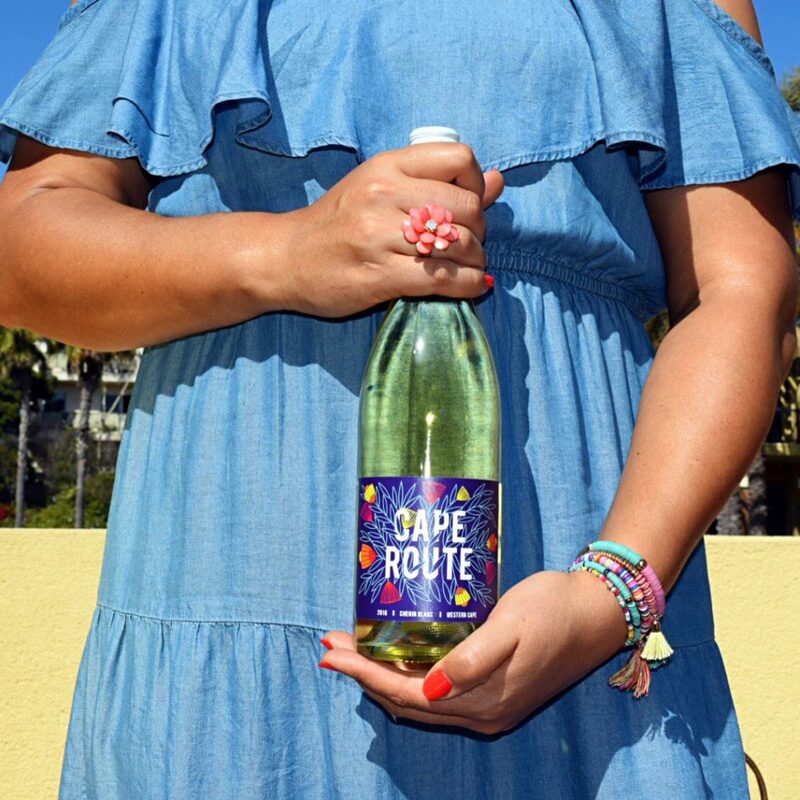 This hot-climate varietal is native to Spain and the Southern Rhône region of France. It has high alcohol content and low acidity and produces full-bodied white wines. You’ll get notes of green apple, pear, honeysuckle, citrus fruits, nuts, and unripe mango, and lemon curd and brioche if aged in oak (WineFolly). If I see this wine on a menu, I order it. 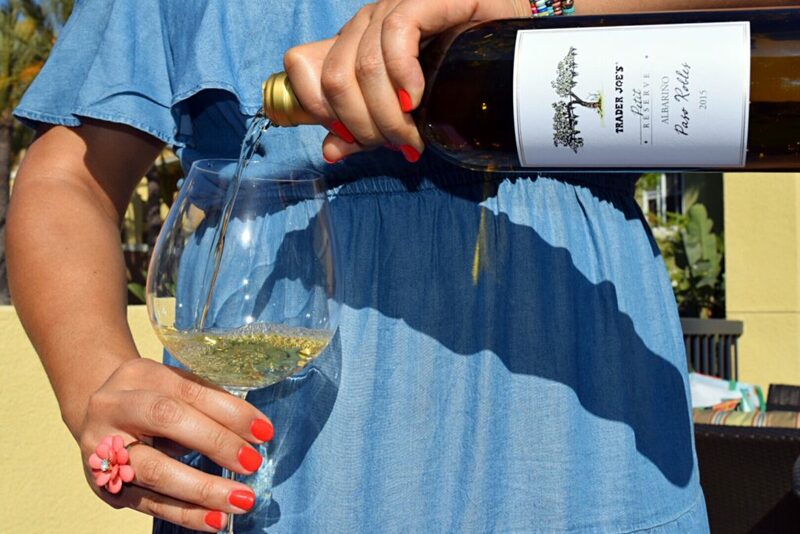 It’s very complex, easy to drink and a great alternative to Chardonnay. This particular wine from the Paso Robles region was a bit of a splurge, but was SUPERB. Bring this wine to your next dinner party and everyone will love you! 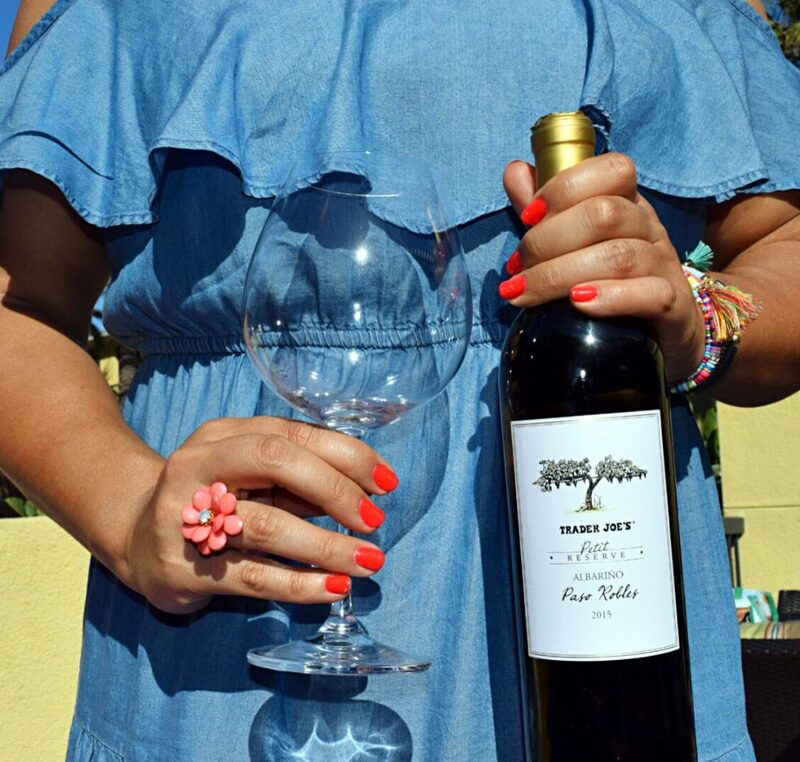 Where to buy wines like this- Local wine stores, WINC, Whole Foods. A lot of restaurants are adding these wines to their lists, so order it the next time you’re out! Last but not least, I am recommending a dry Provençal style rosé! 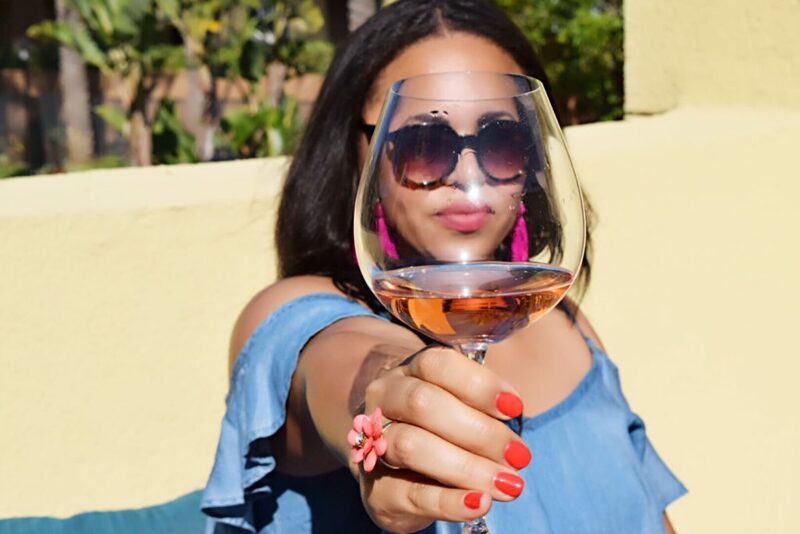 As you know, I did not always love rosés because I didn’t realize that blush wines didn’t have to be sweet (read my piece about how rosé is made)! In fact, they are much more enjoyable in a dry style (IMO). Provençal-style wines are yielded through the direct-press method where red/black grapes are pressed, and have limited contact with their skins, causing the juice/wine to be a light-pink color. 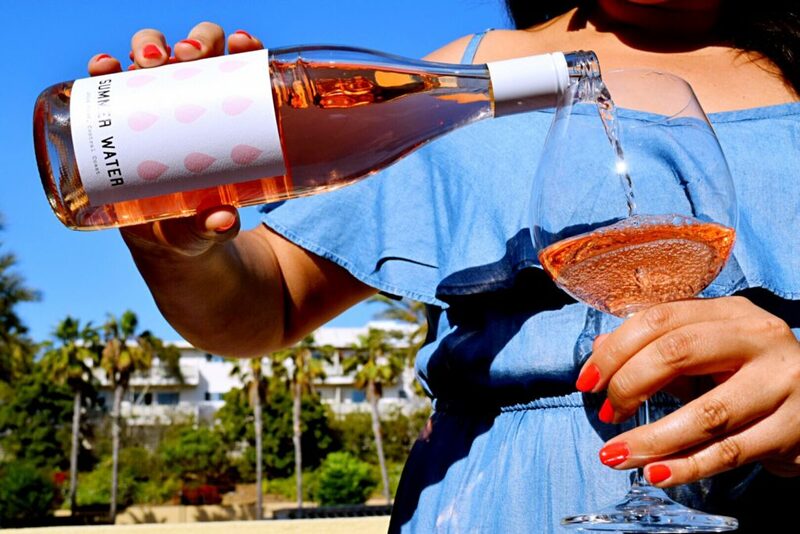 If you love Pinot Noir, Cabernet Sauvignon or Merlot, you will love a dry rosé! 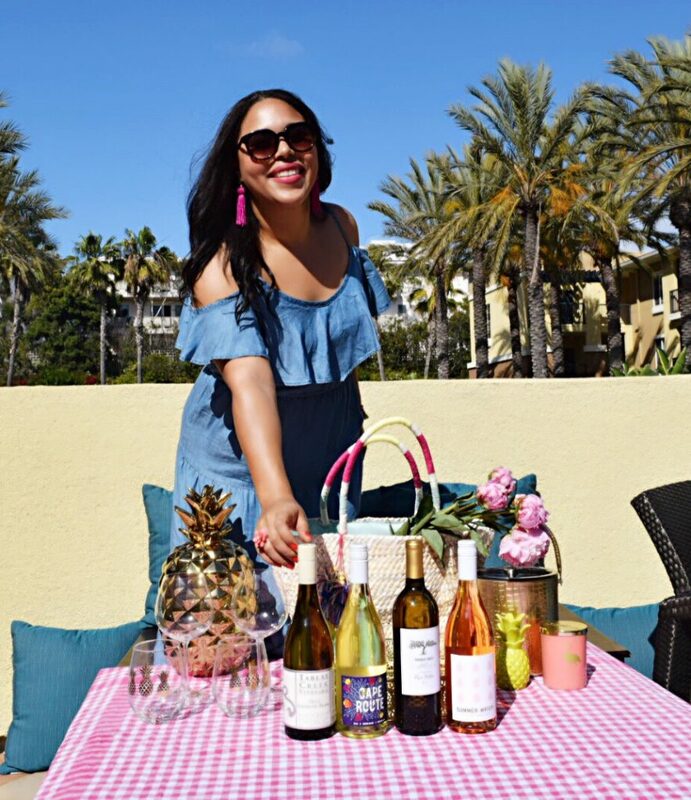 Depending on the grape used to make the rosé wine, you will get aromas of strawberry, raspberry, cherry, watermelon, candy, lemonade, rose, white pepper and/or lime zest. If you’re still sipping on sweet White Zinfandels, I dare you to try a Provençal-style wine…I think you’ll be pleasantly surprised. 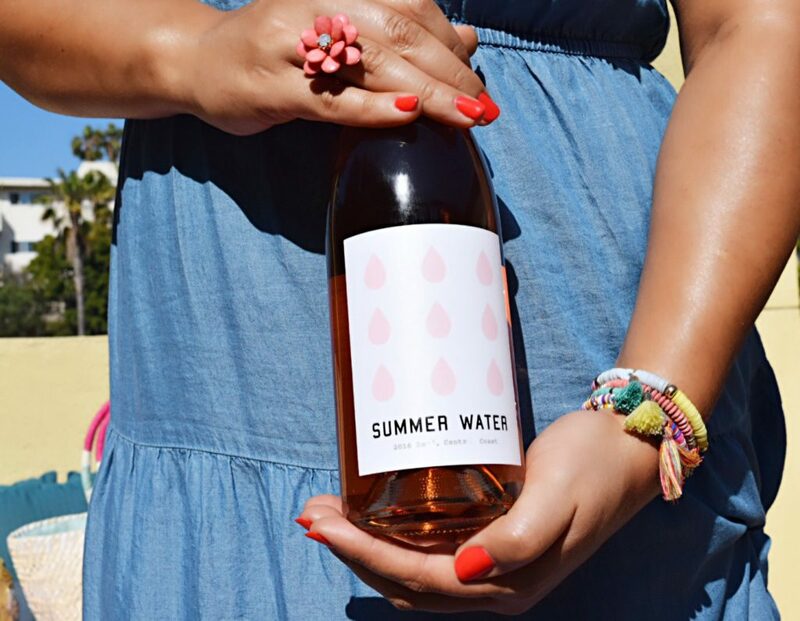 Here I’m drinking Summer Water, which is a Grenache and Syrah blend that is super easy to drink and is the perfect summer treat. 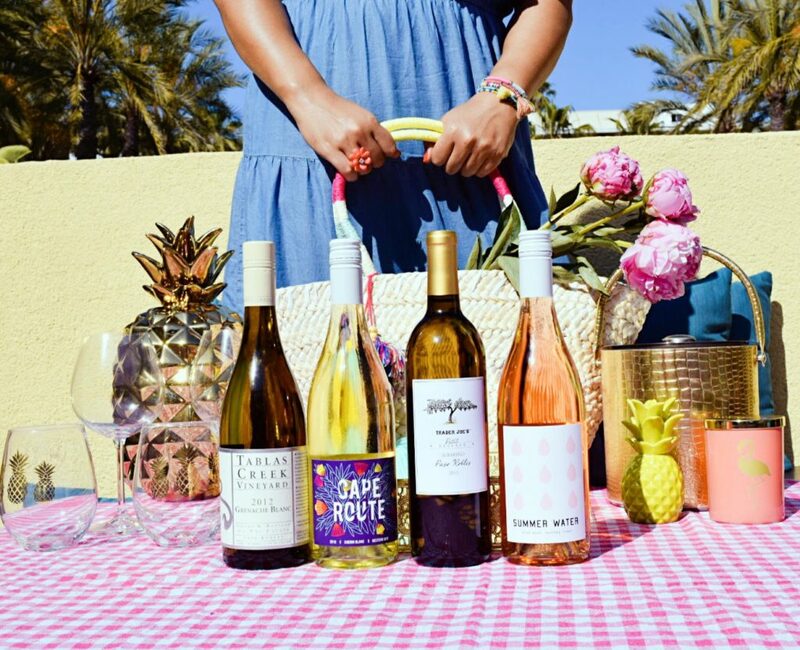 Where to buy wines like this- WINC, Publix, Whole Foods, Trader Joe’s, Sprouts. I couldn’t end this post without giving a shout out to this beautiful chambray, ruffled, cold-shoulder dress. It is seriously the perfect dress for summer! It’s light-weight, flattering and extremely soft. I’ve worn it a few times, and always get compliments on it. And the best part is…it’s under $50! It’d be perfect to wear to a summer bbq, birthday party, brunch or a date. My straw tote is from Express, and is also perfect for summer! You can get it here. 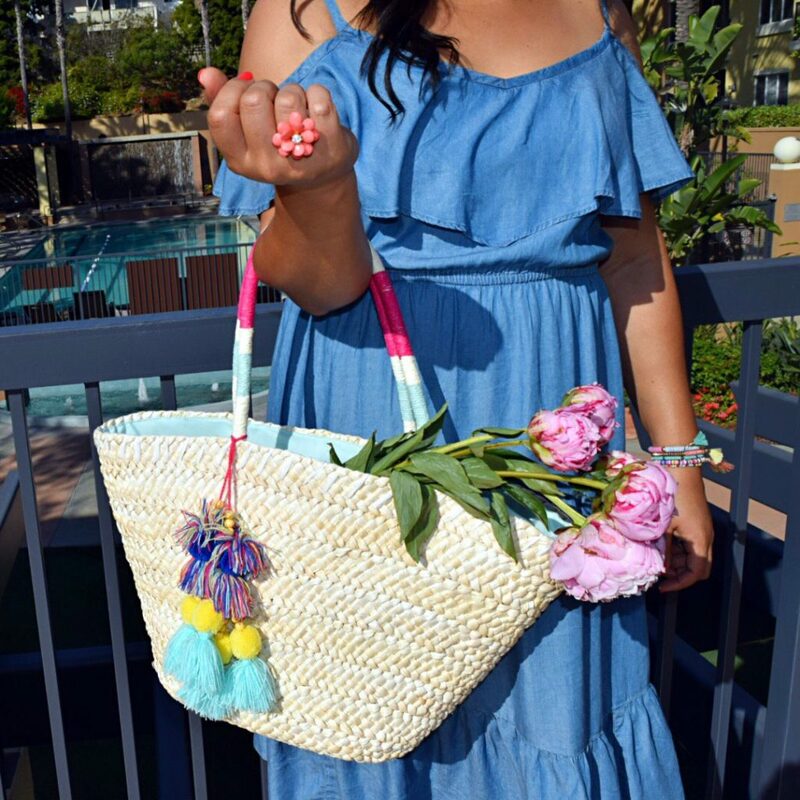 I’ve linked a few super cute tassel straw totes and bracelet stacks below. 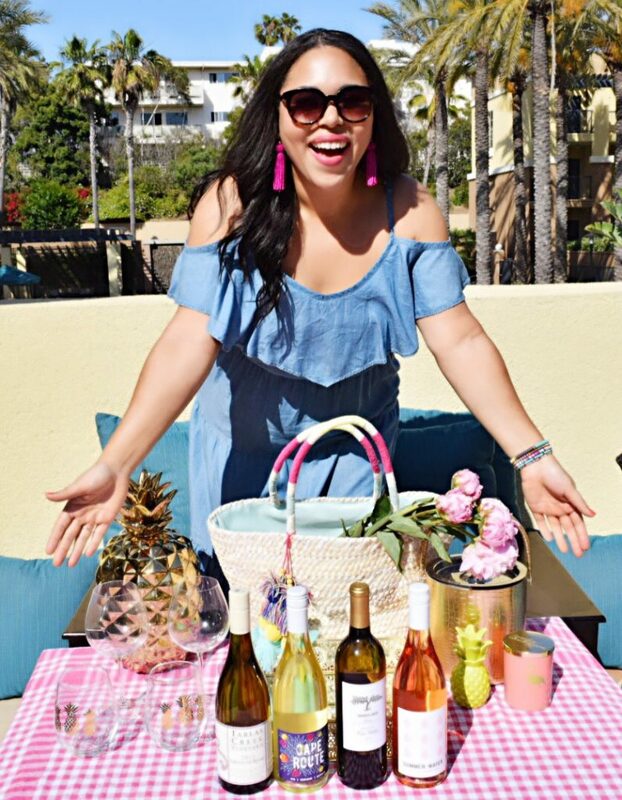 Which wine will you be trying first?! Tell me in the comments below! 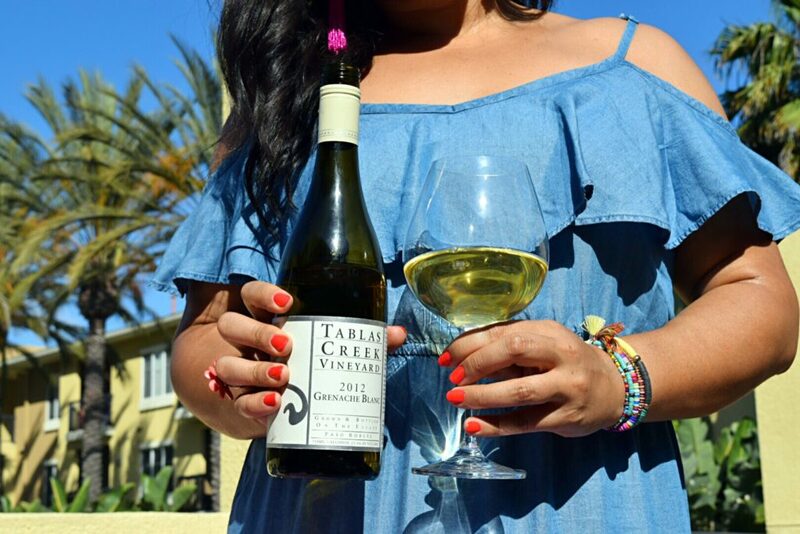 Grenache Blanc is a great one, and comes at a variety of price points. You’d definitely be able to find a high-quality one for under $15. legitimately need to try ALL of these and am obsessed with your photos. could you be any cuter?!?! also if that purse weren’t $140 i would purchase that ish as we speak!! !